I'm producing some assets for the interior environment, to be used as reference for the modellers. 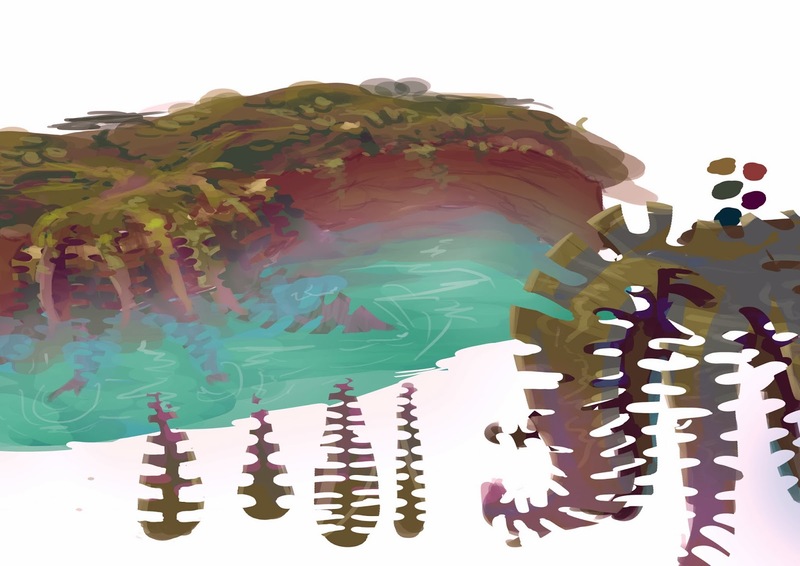 The first image is more rough, showing it's placement in the environment, the second image is more technically accurate, showing a plant from a couple of angles. 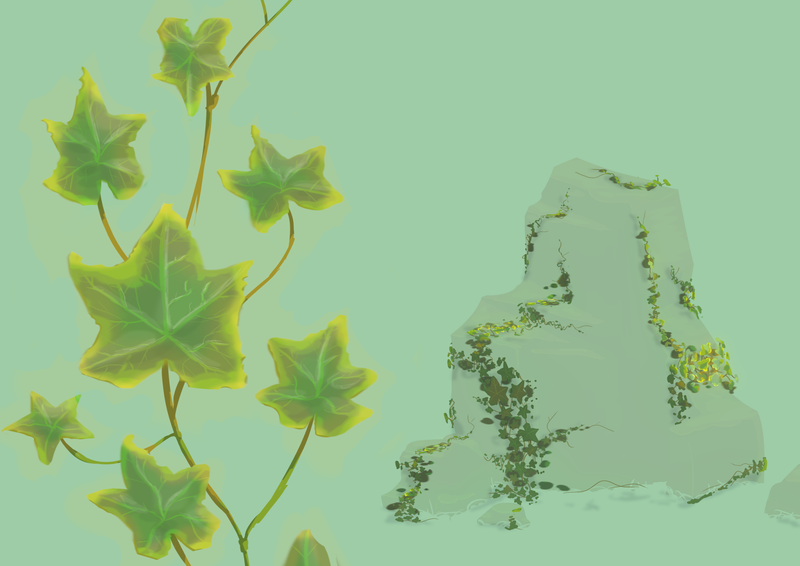 The third is a generic ivy design, showing how it would grow on rocks as an example.